At least eight people were killed during a panic at Court Street Baptist Church in Lynchburg, Virginia, when a fire was reported in the building on Oct. 16. More than 2,000 people were packed into the single-exit church for a wedding and religious service, and many were trampled or smothered to death as they scrambled out of the building. Maria Wilson, a 17-year-old African American girl, leapt to her death from an upper floor, attempting to escape the church. 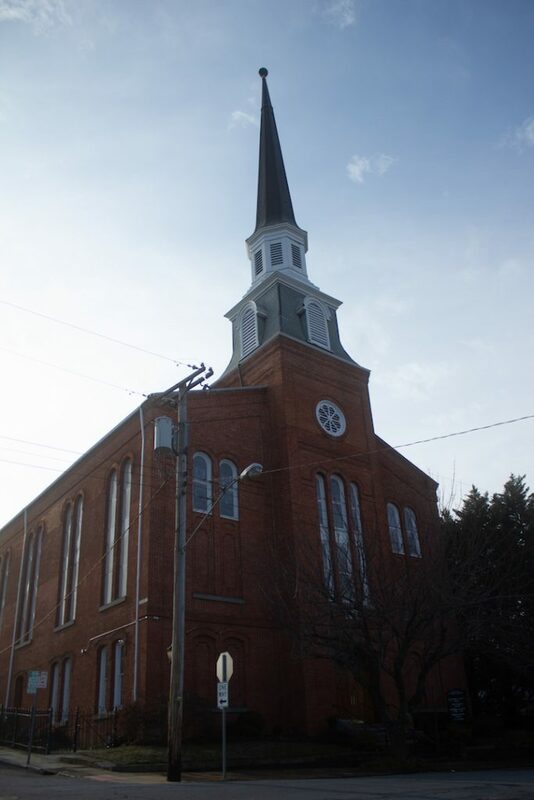 Emma Smith | LibErty Champion HISTORIC — The Court Street Baptist Church panic of 1878 inspired the congregation to rebuild; the current structure was built in 1879 and features a stained-glass window honoring the women who died during the panic. Despite the panic, the church was not in danger that evening in 1878. However, eight women lost their lives because of what many publications called “The Lynchburg Calamity.” Their names are memorialized on a stained-glass window in the current Court Street Baptist Church building. Wilson’s story is told in the first episode of “Little Did They Know,” a new historical podcast series created by the Lynchburg Department of Economic Development and Tourism and the Lynchburg Museum System, which launched in January. “Little Did They Know” was created in partnership with and funded by American Evolution, an organization dedicated to commemorating the 400th anniversary of key events in Virginia’s history. The American Evolution project will be partnering with organizations throughout Virginia in 2019 to host events, exhibitions and programs to “inspire local, national and international engagement … and to reinforce Virginia’s leadership in education, tourism and economic development,” according to the project’s website. 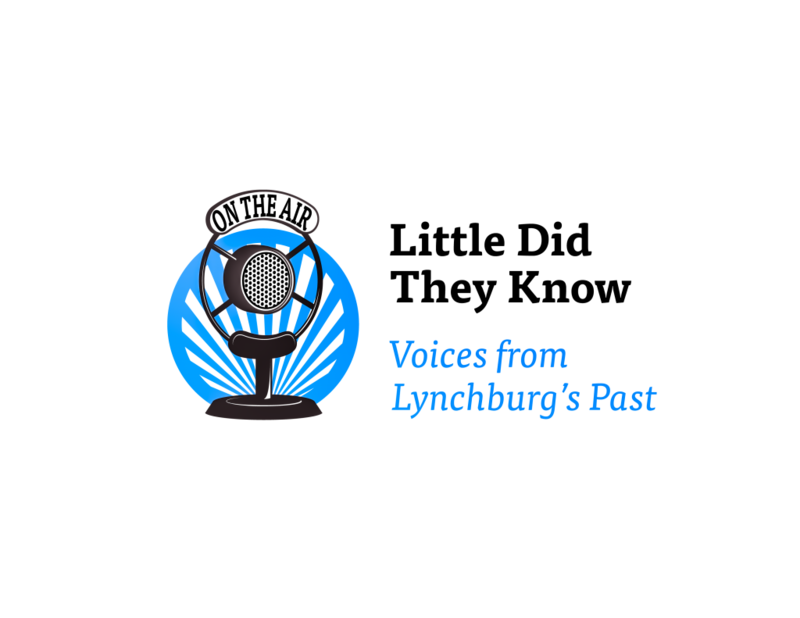 Delaney explained that each of the podcast’s five episodes will share stories of Lynchburg’s history, some with impacts on the state, others with marks on the nation. Each episode features three main components: narration, interviews and a monologue. There are two interviews in each episode — one with a local historian, and the other with a Lynchburg resident who was either an eyewitness to the topic or is closely tied to the theme of the episode. The monologues, on the other hand, are dramatizations of true stories based on the lives of late Lynchburg residents. All the stories were created by Lynchburg historic site Old City Cemetery for its annual Candlelight Tours event, which features actors in period dress delivering monologues. Many of the Candlelight Tour actors also served as voice actors for the podcast. ON AIR — “Little Did They Know” is a new historical podcast series created by the Lynchburg Department of Economic Development and Tourism and the Lynchburg Museum System. Episode 2 will be released within the first two weeks of February, and episodes are slated to be released once a month. 434 Marketing is producing the series, and Delaney said the final three episodes are in the production process. Despite having “more moving parts and pieces” than they imagined, according to Delaney, the podcast creators intentionally chose the audio platform because it reaches a younger audience. American Evolution is only partnering with “Little Did They Know” for 2019, and the podcast creators are looking for sponsors or partners for future seasons. Because the departments involved believe deeply in the mission of sharing stories of Lynchburg’s past, Delaney said he would like to continue making more seasons of the podcast. The podcast is available online at www.littledidtheyknow.com or on Google Play and iTunes. New episodes will be announced via the Department of Economic Development and Tourism’s social media pages: Facebook — @visitlynchburgva, Twitter — @visitLYH, and Instagram — @lynchburgva.